Michael Berg has the experience and credentials to handle any criminal defense matter. If you have been accused of a serious crime, your primary concern is protecting your reputation, your career and your future. Your immigration status may even be at stake if you are convicted. There are factors to consider beyond the cost of your defense. Quality matters. 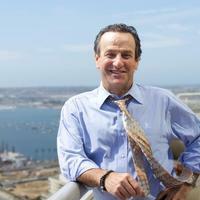 For high-quality criminal defense, call 619-239-2186 for a free consultation with a criminal defense lawyer. Michael Berg provides quality criminal defense to people in the Greater San Jose area. We have handled all types of criminal defense cases in Northern California including Santa Clara County, San Jose, Silicon Valley, and the entire Bay Area. Michael has firsthand knowledge of how police and district attorneys build cases. We are familiar with their tactics and procedures, and use our knowledge of them to defend you. Contact us as soon as possible so we can begin defending your rights. 619-239-2186. We can also assist with Record Clearance if you have already been convicted. Many people turn to us when they must get a criminal conviction expunged from their record. We may be able to help you. Because we have decades of experience, we have comprehensive understanding of the California criminal justice system. We have also demonstrated that such knowledge leads to success. One of the most important distinctions we can earn is a referral from a former client. We are proud that former clients consistently refer their loved ones to us when they are facing serious charges.